The Book Club meets on the last Wednesday of each month at 11:00 am to discuss the monthly selection. The next month’s selection is announced at the meeting and in the monthly newsletter. Any member of the women’s club is invited to join the group in their lively and fun discussion. Each participant is asked to bring her lunch. Drinks and dessert are provided by the hostess. CALLING ALL MAGNOLIA POINT RESIDENTS (MEN AND WOMEN) INTERESTED IN SINGING...This group is for all you shower singers who would like to be a part of a fun-loving group who love to sing. The group meets weekly on Tuesday afternoons and performs throughout the year at various locations including the Magnolia Point Golf Club and local senior citizens and convalescent homes. For more information, please contact Judy Williamson: 284-9680; jmwmson2@bellsouth.net. She will give your name to Director Allen Eastman. All Magnolia Point residents are invited to participate in a relaxed, friendly game held at the club. Reservations are required; partners not needed. 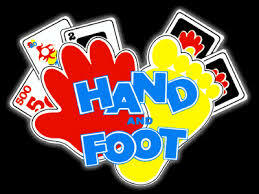 The Hand & Foot game is scheduled for the first Wednesday of every month. If you are interested in playing, look for the email to sign up that comes out on Tuesday the week before. The cost is $2.00 for prize money. Players should arrive at the clubhouse by 9:45am to enjoy some fruit and other goodies. Play starts at 10am and followed by lunch at the club. The women's club Hand and Foot Rules and score sheet can be found on the home page of our website at www.mpwc. For more information call Kathy Cardon. The last Monday of every month is “Movie Monday.” The film selection is announced via email and members meet at the Carmike 12 on Fleming Island. If you have any questions, contact Marlene Jacobs.